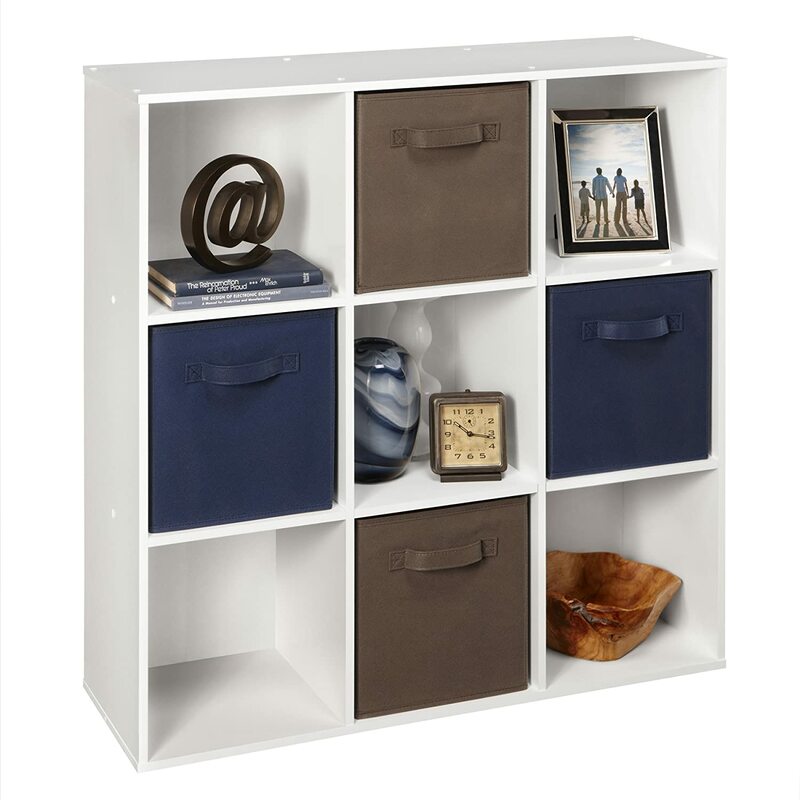 More than anything, I love buying things that help me get more organized. Sounds nutty right? Imagine how mad I got when I discovered, not one or two … but four irons when packing for a recent move. What kind of home organization would justify four irons? We're back to two irons – my quilting iron and my husband has one in the garage. And now you know why it pays to be organized, so you don't waste money on duplicates. American's are driven to buy, buy and buy even more things we don't really need. My belief is we shouldn't buy more than we have time and space to use and enjoy. Well maybe we can make allowances for one passion and for me, that's my quilter's fabric stash. Now you can see I really take home organization seriously! So here's a glimpse into my life, my home and my favorite home organizing gadgets. Walking into my quilting closet makes me smile! Let's start with my quilting closet (above). I've got lots of fabric as everyone knows she how dies with the biggest stash wins. Okay, I've got a pretty big stash but I'm not going to win and that's a good thing. Quilting was a lifesaver when I worked for IBM. Quilting gave me the visual stimulation I needed and couldn't get dealing with software, meeting agendas and more. My fabrics are organized by color, and about half the fabric lives in plastic bins which are perfect when I want to take a few colors off to a quilting class. Now my clothes aren't going to fit into those buckets. It would also be a waste of time having to open and close buckets (or even drawers) so my preference is to use a combination of shelves, hooks and a small amount of hanging rods. Everyone has their own style of dressing plus other knick-knacks they keep in their bedroom closet. Step one to organizing this space is to take inventory of what's in your closet and find ways to organize everything so you can see it (why I don't like drawers except for things like underwear). 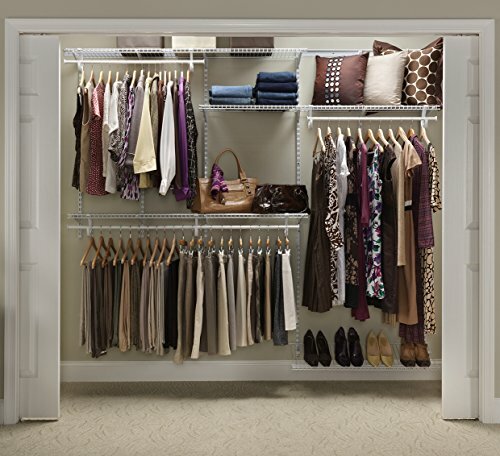 Add shelving for shirts, sweaters and pants. You might think your closet has enough shelves and even I was fooled with one house we bought. We had to add shelves in several places for maximum storage. And yes, I'll pick shelves over drawers for any closet (still thinking about this for the kitchen). 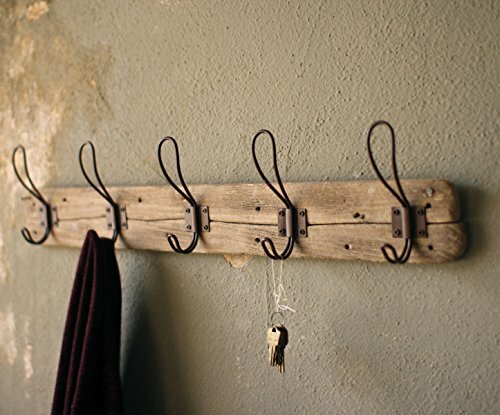 Add hooks to hang things you use frequently, like pajamas (behind me on the left), belts and jackets. 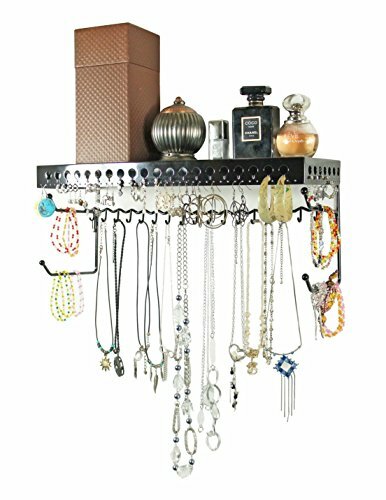 I also like to hang my belts and scarves (behind me on the right) up so I can quickly find what works with what I'm wearing. White, 5 to 8 ft.
How many junk drawers do you have? Don't pretend you're not sure what I mean. These are the drawers where we through everything we don't have a home for … when we should probably through most of it out. I've found it relatively easy to keep my bedroom drawers organized but not the kitchen, and definitely not the bathrooms. 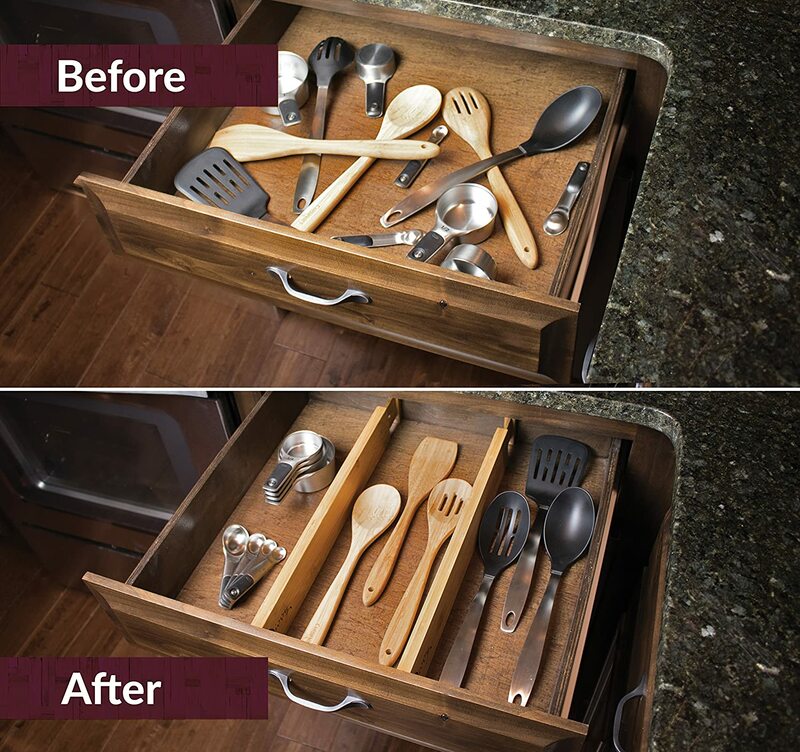 My favorite kitchen drawer organization solutions include kitchen drawer inserts I designed and were built by OrganizeMyDrawer.com (see how I tamed my worst junk drawer on the left). Kitchen cabinet makers are coming up with the most amazing kitchen organizers (on right below) that I can to dream about at every home builder show but I guess, they're not important enough to replace my cabinets … yet. 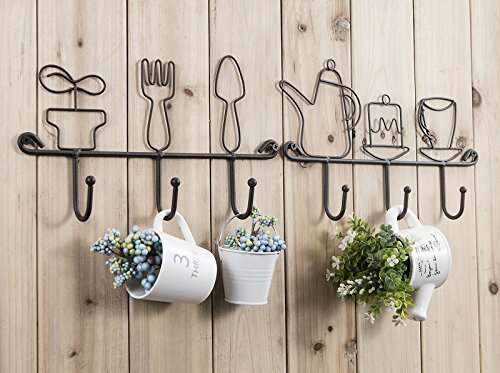 But wait, there are lots of other kitchen organizing gadgets. Some of them are for do-it-yourself, and you design the solution (first row below). 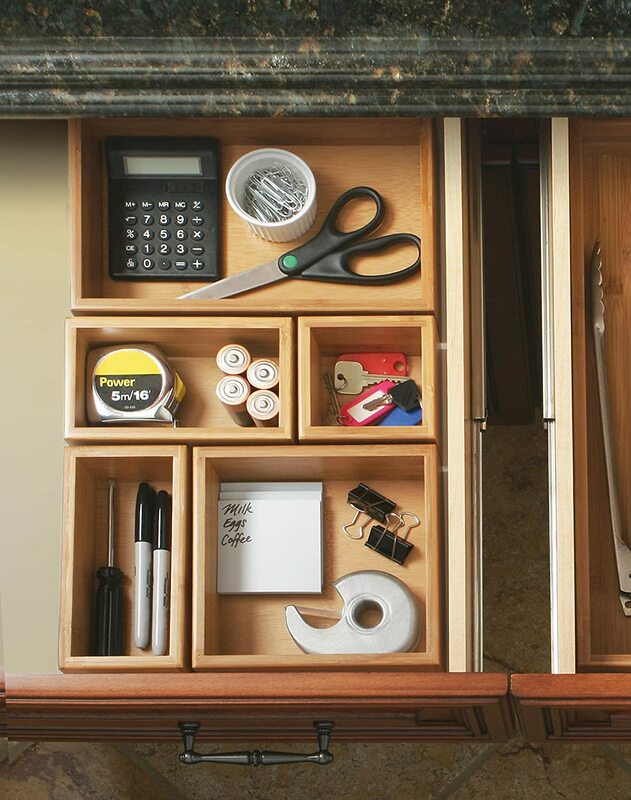 Others you simply install into a kitchen drawer or cabinet (second row). 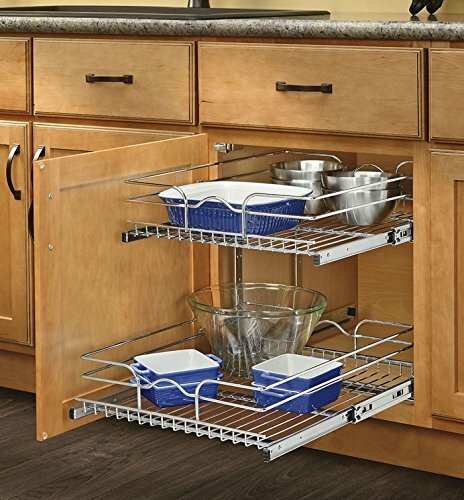 Here are some of my favorites, especially the complete drawer/cabinet solutions from Rev-a-Shelf. 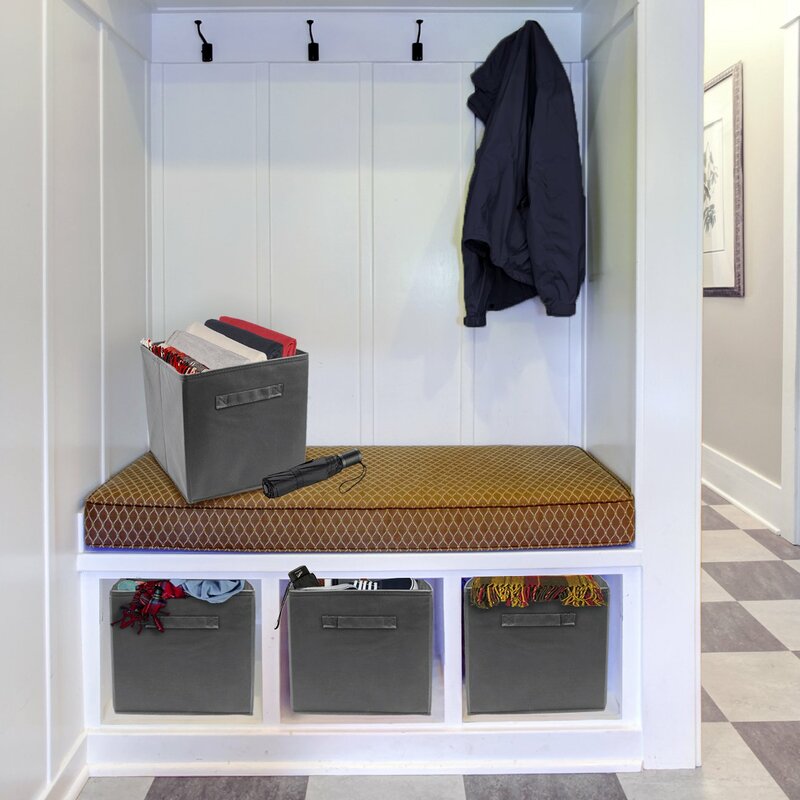 Ready to Start Organizing Your Home? 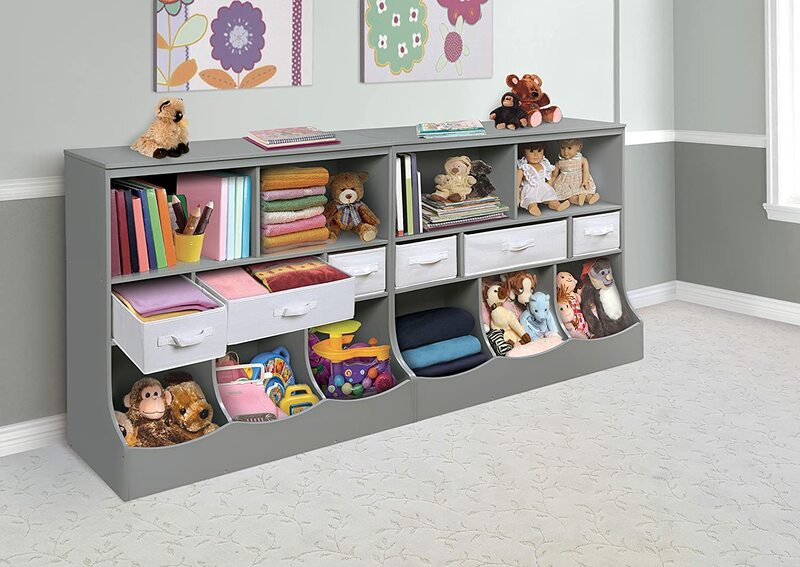 Love these tips including what to buy to get started organizing. Minday, Everyone has a favorite organizing gadget. 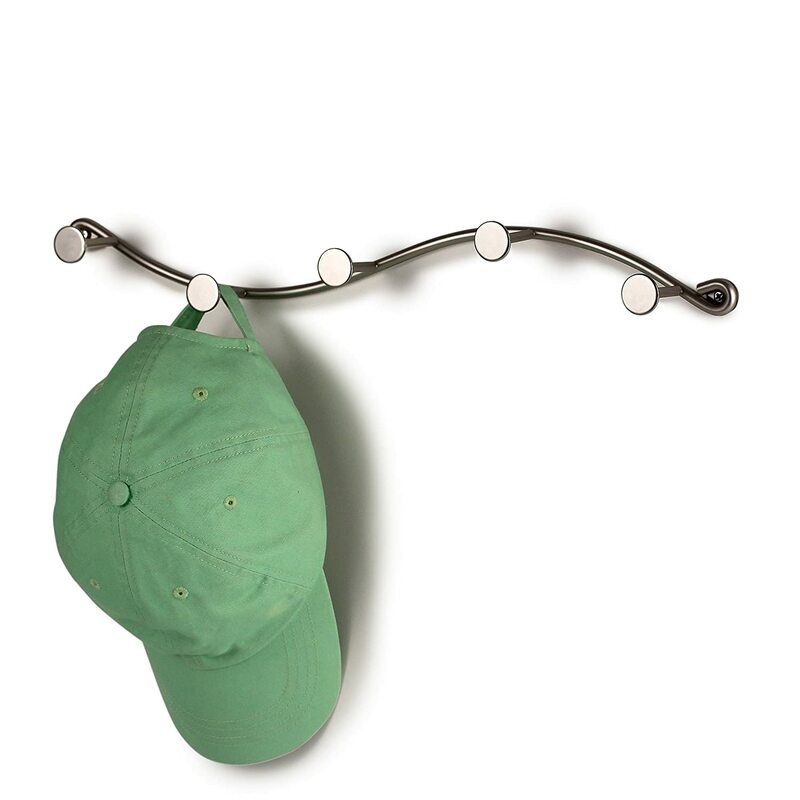 Mine happens to be hooks so I’ve put them on the back of most doors. What’s your favorite organizing tool? I sure will pin this and reshare. Visiting you at Traffic Jam Weekend, where my share is Tips to Boost Gratitude Today! Enjoy. Thanks Nancy, I some of your tips are perfect for this holiday season which is always stressful. Tina, I love your example of the four irons! I’m sure we’ve all done something like that. And I love that you point out that organization saves time as well as money. I’m helping a friend declutter right now, and she is starting to see what I meant when I said that. 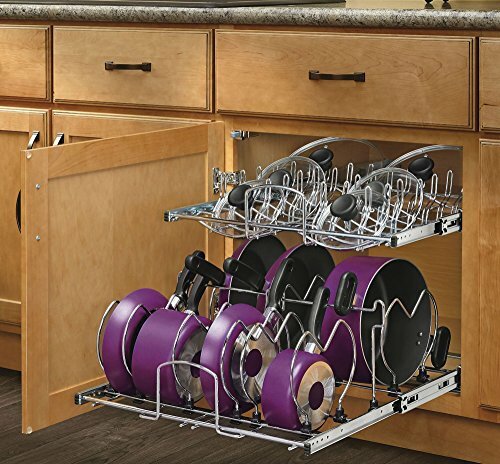 When she doesn’t have to pull out three stacks of dishes to get to the items she wants, that’s a huge time saver. Yes Jean, the four iron story is something I’ll never forget. The worst part was I found 3 and my favorite (quilting) iron was missing because my husband had it in the garage! Love your story about 3 sets of dishes, as honestly … do we need a special set of dishes that we use only 2 or 3 times each year.